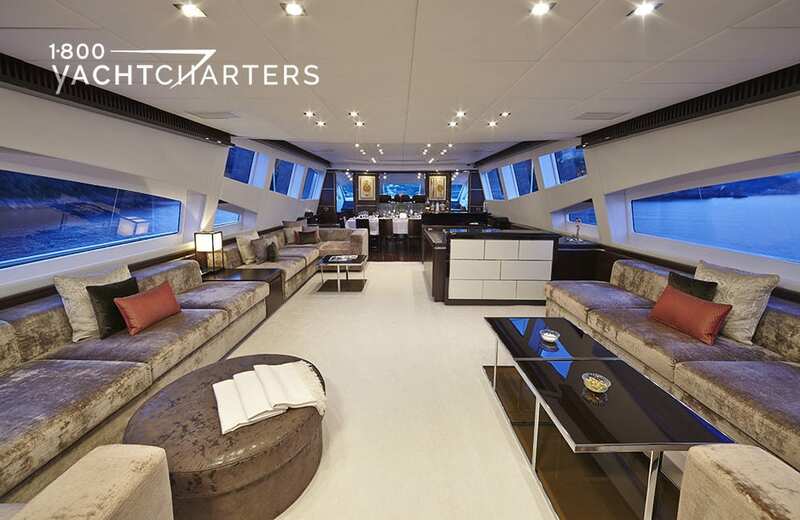 Leopard 43 motor yacht ANTELOPE III has been turning heads ever since she entered the charter market. 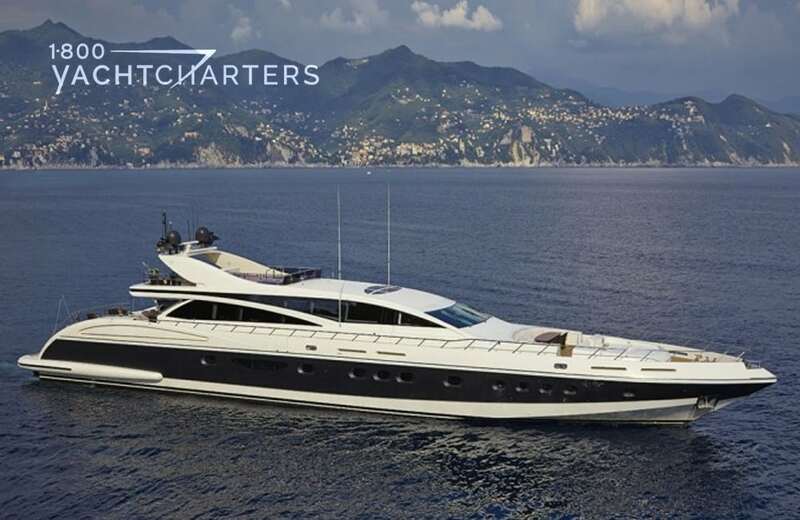 Built by Arno Yachts (a member of Italyachts) to Bureau Veritas class, motor yacht ANTELOPE III is fully MCA-compliant for safety. 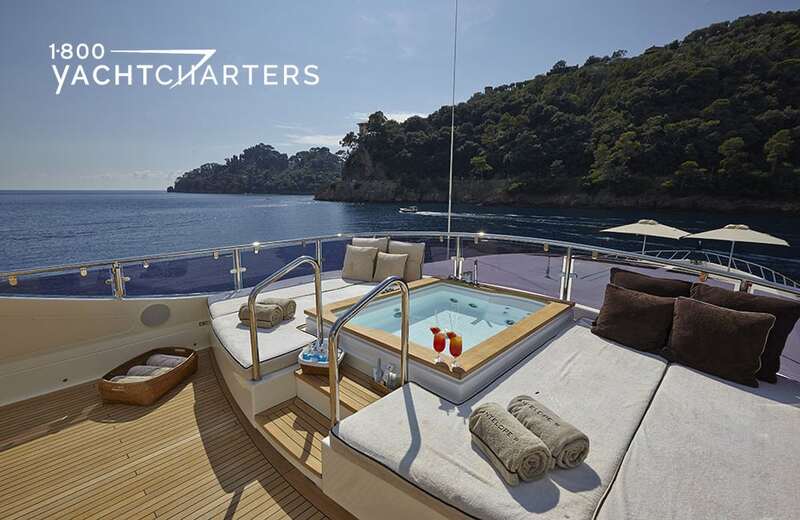 This Caribbean superyacht sleeps eight to nine guests and is perfect for yacht charter Florida vacations. 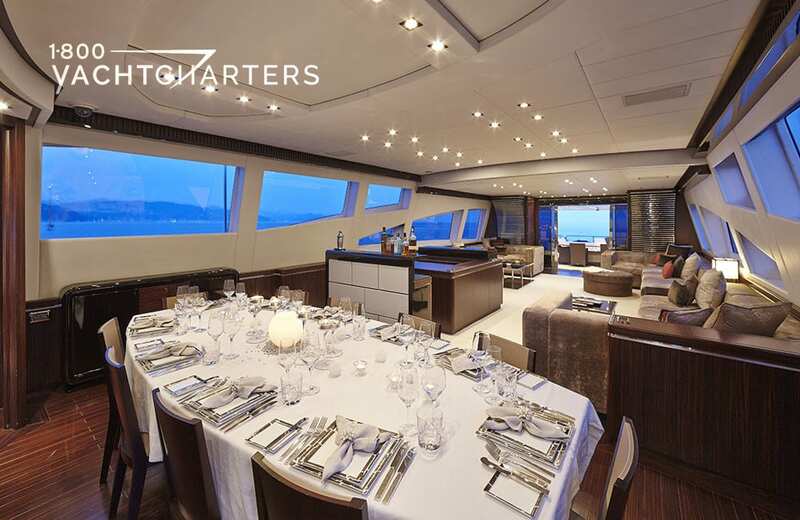 Triple 2400hp MTU engines and KaMeWa waterjets power the Leopard 43 to a maximum speed of 40 knots. 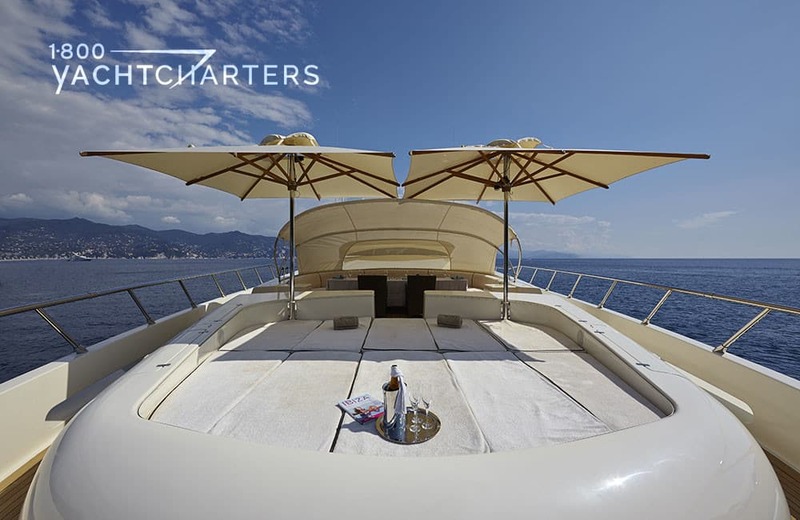 Luxury motor yacht ANTELOPE III boasts the sophisticated exterior design and engineering work of Andrea Bacigalupo. 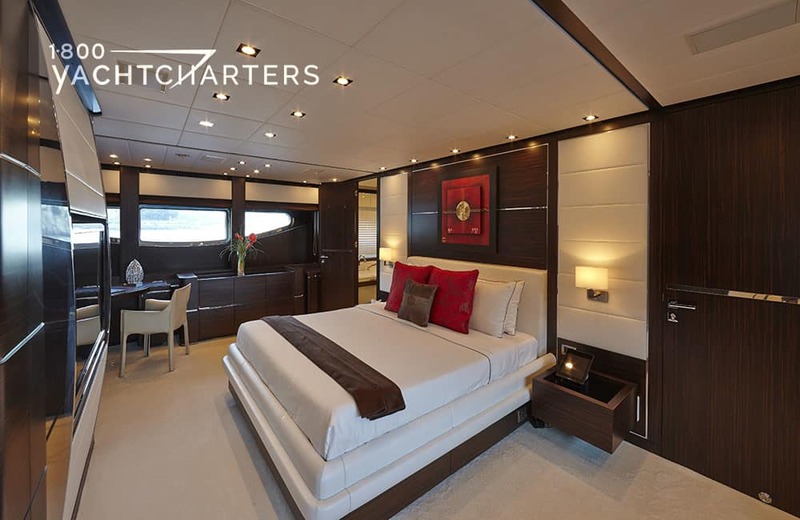 Interior décor is bright and airy with plenty of natural light filtering into the cabins. In July 2011, the yacht’s owner installed two Seakeeper M21000 stabilization gyros. 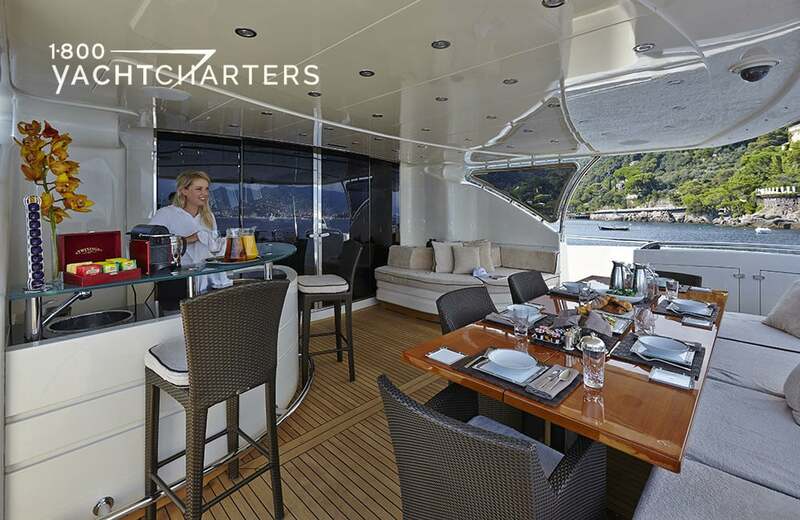 This stabilization system provides added comfort to charter guests. Seakeeper gyro stabilization produces a powerful righting force that virtually eliminates boat rock and roll. The units are highly effective over a range of conditions, delivering unmatched stability at anchor, zero and low speeds, as well as while underway. 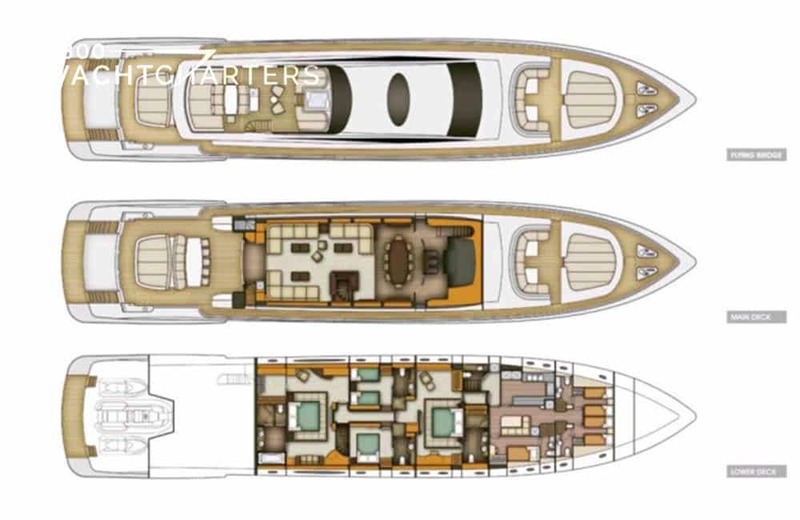 Other performance yachts available for hire include the Leopard 46 yacht AUSPICIOUS, and the Mangusta 92 yacht KAWAI.